Today in Patan, former Congress MLA Asha Patel from Unjha consitituency formally joined BJP camp in presence of Gujarat BJP President Jitu Vaghani and Haryana Chief Minister ML Khattar. MLA Asha was dissatisfied in Gujarat Congress fro quite some time. Today, Gujarat Congress experienced had one more blow after washed out in general elections. 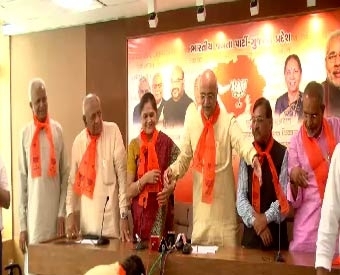 Gandhinagar district president Hinaben Patel has joined BJP Gujarat unit. 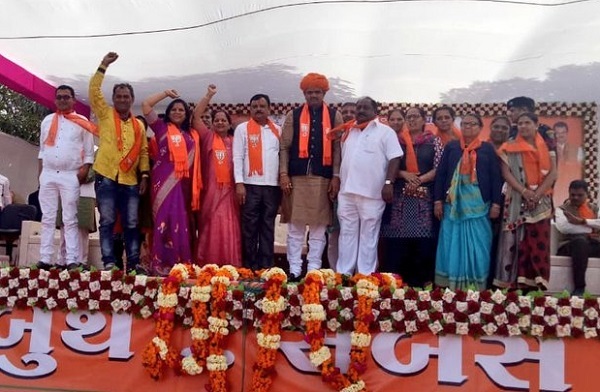 Hinaben along with 8 members joined BJP camp. It is learnt that Hinaben aspirations could not be satisfied in Congress which lead her to join BJP.